“When the waiter asked, I thought it was maybe a little forward of him to be asking those types of questions,” Ron adds. Iva recounts, “Ronnie woke me up at 7:00 a.m., and he was gray, and he said, ‘I can’t find Amy,’ and I knew immediately there was something terribly wrong. My son went up to look for Amy. He was approached by the band members and they said, ‘Sorry to hear about your sister.’ How in the world did they know anything about Amy being missing? “My son was in a fetal position. Ron was vomiting blood, and I had no feeling in my arms. “The captain made the comment to us that she could have fallen overboard. And I told him absolutely no way. He said that we should get off the boat in case she ended up in Curaçao. David may not be the only visitor to Curaçao to have seen Amy. A member of the Navy says he saw her during a visit to a brothel there in 1999. She told him that her name was Amy Bradley and begged him for help. He told her there was a Navy ship five minutes down the road. As Amy’s mother recounts, “She said, ‘You don’t understand, I can’t leave. Help me. Please help me. '” But the man dismissed her plea because at the time he didn’t know Amy was missing — and because he wasn’t supposed to be there. “And when he saw Amy’s picture on the front cover of People magazine, that’s when he contacted us, because he realized it was the same girl,” Iva says. “I do believe she’s alive,” Iva replies. “One hundred percent. Without a doubt,” he replies. 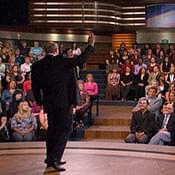 Before moving on, Dr. Phil shares one of Ty’s video diary entries. Ty says, “We’re at Le Mirage, outside 10 acres of nothing but flesh for sale. It’s got a 20-foot wall around it and steel gates. There are women who are from all over. There were women who were using the phone that had security standing over them. They’re listening to every word that the girls were saying. That smacks of control. Prisoners. There’s hundreds of girls in there. It’s just a haven for flesh.” Ty filed this entry from one of Aruba’s neighboring islands, Curacao, which is where Amy Bradley disappeared seven years ago. Iva and Ron received a picture via e-mail from a sender who wishes to remain anonymous. Dr. Phil says, “I want to show you this picture of who may very well be Amy Bradley seven years after her disappearance. Now I want to emphasize that we discussed whether we should show this picture on the air with former FBI profiler Clint Van Zandt who has worked on many kidnapping cases. Now, Ron and Clint both agree that because this is the first lead that they’ve had in nearly eight years, he and Iva would like to show this picture in case this young woman is indeed Amy. Now, we have had top forensic artist experts in the country look at these pictures, and they say that it is possible that it could be Amy. “I’ll tell you what. Why don’t we go through the features that the experts have picked out? Now first we want to look at the cheekbones here. 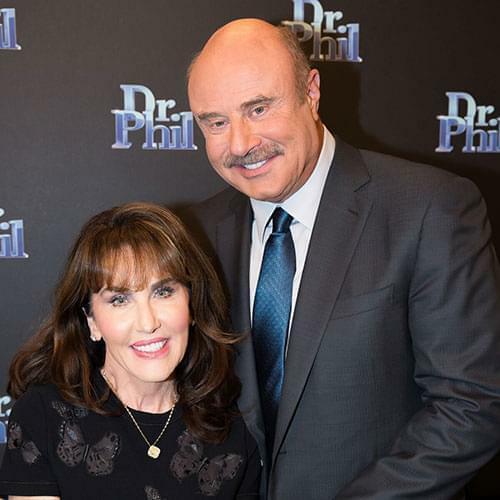 And what they do is they measure things that don’t change in time.” Dr. Phil points out similarities in her cheekbones, her hairline, her chin, and even a mark that Iva pointed out, a freckle below her eye. “Do you believe that could be your daughter?” Dr. Phil asks Iva. “I believe it could be Amy,” she responds. 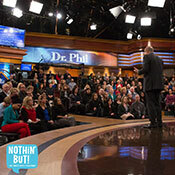 Dr. Phil says, “Now we know that Amy has four distinctive tattoos. One on her left shoulder blade, a baby Tasmanian Devil; one on her right ankle, a Chinese symbol of faith; one around her navel, a green gecko lizard; and one on her lower back, a primitive sun with another Chinese symbol.